As shown, northbound I-75 is congested, while Michigan Avenue – directly right of the freeway – is open and clear. 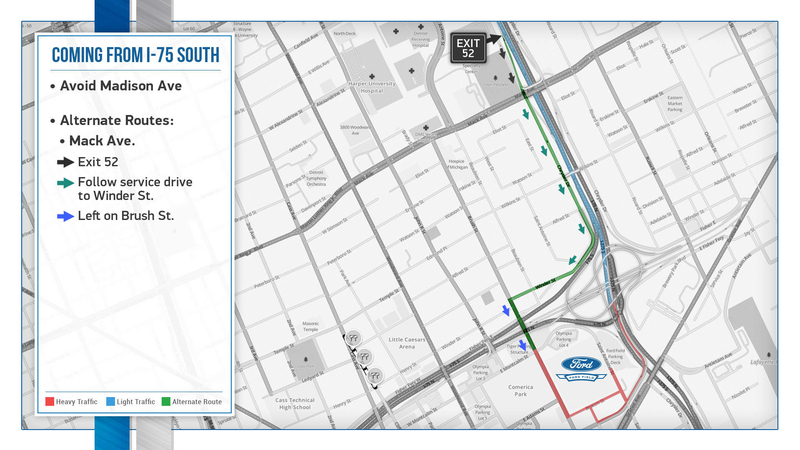 When coming to Ford Field from Southwest Detroit, Downriver suburbs, or Toledo, a suggested alternative route would be to exit at Rosa Parks (exit 49) and turn left on to Michigan Avenue to head toward Downtown. 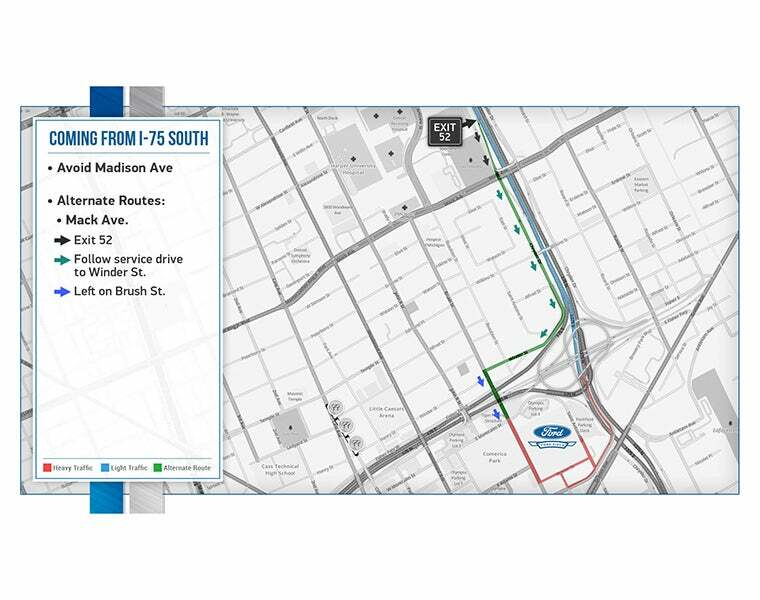 There are then multiple routes available to get to Ford Field. 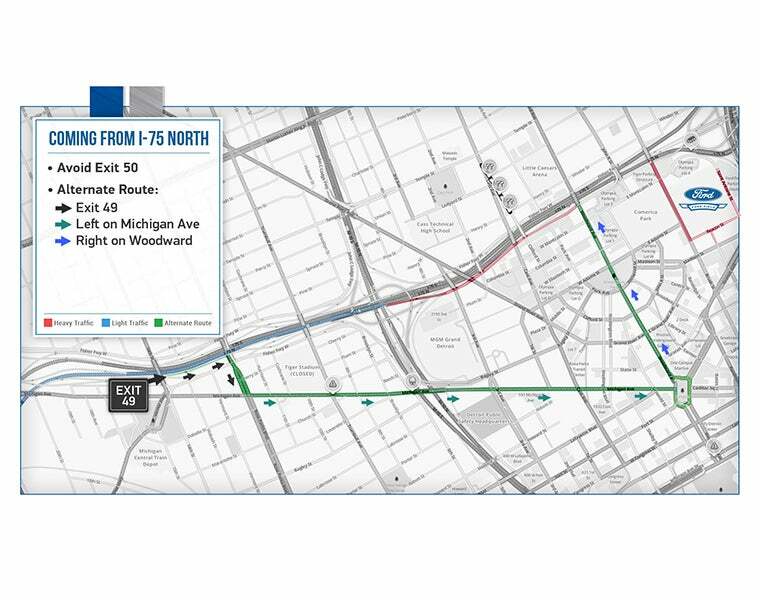 One suggested route to try is taking Michigan Avenue to Woodward Avenue north. Take Woodward Avenue to Montcalm Street and turn right. Ford Field will be on your right. 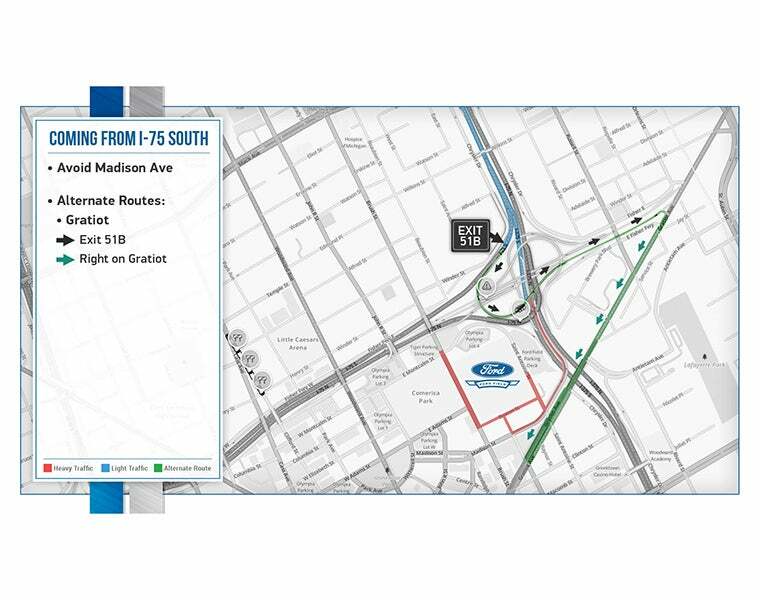 When entering Detroit on southbound I-75, most exit at Madison Avenue, which is the closest exit to Ford Field. However, as seen above, it causes significant traffic backups in the left lane of I-75. 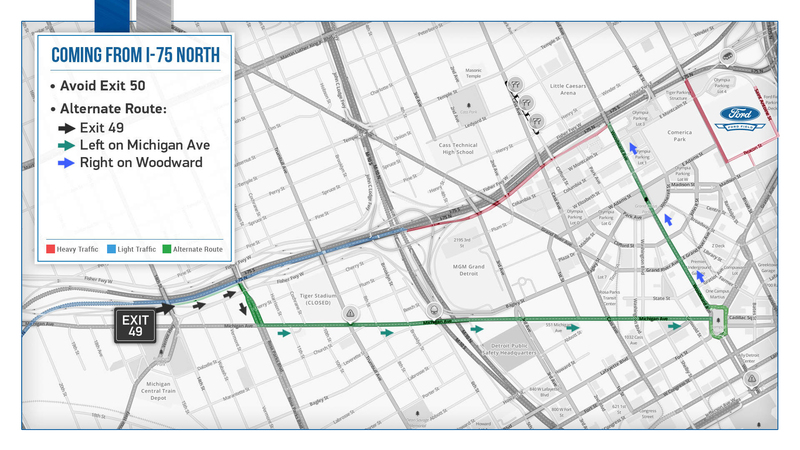 An alternative route would be exiting at Mack Avenue (exit 52) and following the service drive next to the freeway. Follow the service drive to Winder Street and turn right. Turn left onto Brush Street from Winder Street. Ford Field will be straight ahead on your left. Gratiot Avenue, which is running straight into the heart of Downtown, has little traffic on it. Most of the cars seen above on Gratiot Avenue are parked. Exit I-75 at Gratiot Avenue (51B) South. 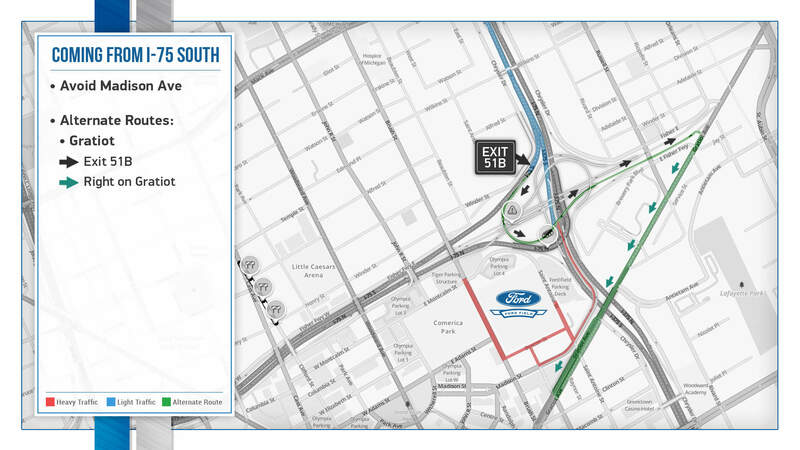 Take a sharp right turn on Gratiot Avenue; continue on Gratiot Avenue and Ford Field will be on the right. Mi Drive (below) is an interactive map hosted by MDOT which details traffic and construction information and is a general resource center for driving Michigan roads. It’s the most up-to-date traffic information available and covers traffic speeds, construction, active accidents and provides camera views. To stay connected on what the roads look like on event days, you can also download the Mi Drive mobile app.